The role of China in Africa continues to promote debate, both inside and outside the continent. 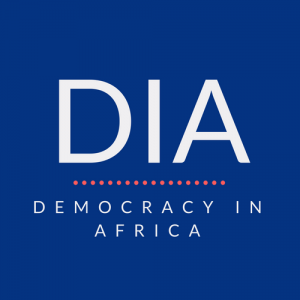 Here, Nikia Clarke, DPhil candidate in the Department of Politics & International Relations at University of Oxford and co-founder of the Oxford University China-Africa Network, shares with us her thoughts on China’s relationship to democracy in Africa. Is China’s growing role in Africa a threat to the continent’s democratisation attempts? Not likely, despite a fair amount of handwringing and media commentary to the contrary. In non-democratic countries, China is accused of propping up illiberal regimes, and in Africa’s fragile democracies, pundits fear that the Chinese example of rapid economic development without political freedom will tempt democratic backsliding. These sorts of fears say more about Western states wary of ceding influence to China than Beijing’s actual role on the continent. As such they are largely overstated. How China as an emerging partner fits into the particular political contexts of African states is a question with 56 unique answers, but in most cases those answers will include ‘it’s probably not as important as you think’. In diplomatic terms, Beijing seems to have very little interest in exporting its political model. Chinese foreign policy in Africa is rarely prescriptive, and is built on bilateral economic relationships with states in which the Ministry of Commerce—rather than the Ministry of Foreign Affairs—plays the central role. Its concern with protecting sovereignty at home makes China reluctant to interfere with the internal politics of sovereign states abroad. This bias towards sovereignty and stability does mean that China accepts the legitimacy of the official state—regardless of its actions or internal credibility—and has been willing to engage politically and economically with unsavoury regimes like those in Sudan and Zimbabwe. Yet, these relationships have exposed China to a barrage of criticism abroad, and these reputational risks are of great concern to Beijing. As its relationships with African states have deepened, China’s policy of non-interference has become more difficult to sustain. When it has been challenged, Beijing has for the most part moved in line with the international community. China sent observers to monitor South Sudan’s referendum on independence, and has been keen to build ties with Juba following the country’s secession. As one of the few foreign powers with a sustained relationship with the isolated regime in Khartoum, it now finds itself in the role of mediator between the two Sudans. During the Libyan conflict last year, China voted in favour of UN sanctions against Qaddafi, and had several high-level meetings with the rebels in Benghazi and later the National Transitional Council, although it was one of the last countries to officially recognise the NTC. In other words, China has begun to intervene in national political issues on the continent, but its ambitions in doing so are limited and driven by expediency: Beijing’s primary political concerns in Africa are pragmatic rather than ideological, revolving around the security of its investments and citizens and the risks to its international reputation. Of course, the more important question is whether African states have an interest in adopting parts of the Chinese political model. Despite the rhetoric deployed by Beijing emphasising a rich historical relationship between China and Africa and a shared experience of Western oppression, this is in many ways a new partnership. There is still a great deal of suspicion and xenophobia, even at the highest levels, and both Chinese and African officials are candid about perceived cultural and ideological differences. Many African governments seem to see their relationship with China largely in economic terms, without the strategic component that characterises relations with the West. Western countries have, at best, a chequered past on the continent, with colonialism looming large in the historical memory of many Africans. But Africans also have a range of deep political, linguistic, and cultural ties to the West, and this affinity is not something that shifts overnight with the entrance of a new actor. Rather than emulating China, politicians in Africa have been more likely to instrumentalise, and often demonise, the country in pursuit of their own electoral agendas. In 2006, a state visit by Chinese President Hu Jintao was timed to coincide with a vote in Nigeria’s National Assembly to change the constitution in order to allow then-President Obasanjo a third term in office. Hu received a warm welcome, but Obasanjo was voted down. In the 2008 Zambian elections, Sata’s unsuccessful campaign rested on a virulent anti-China platform and he threatened to recognise Taiwan as a sovereign state. By the time he took office following a successful bid in 2011, the rhetoric had mellowed considerably and instead there has been an emphasis on preserving economic relations with Beijing. African leaders are adept at employing foreign relations in pursuit of domestic goals, but in reality, governance and institution building have much more to do with internal politics than foreign influence. China is an increasingly important partner for many African states, however its ability to directly influence African politics – and its desire to do so- is minimal. Certainly this should come as no surprise to the Western governments and international institutions that have been trying to transform governance across the continent for decades. What the presence of China has done, however, is reignited a debate both in Africa and abroad about the developmentalist state. This is most visible in the revival of infrastructure investment as a prime engine of development in economic planning documents from Capetown to Lagos, as well as the resurgence in some African capitals of discussions about resource nationalism and state stewardship of assets. This kind of indirect influence, and the accompanying diversity of ideas about development and progress is likely more a help than a hinderance. Ultimately, the Cold War style obsession over West versus East on the continent is a false choice, as Africans themselves get on with the very context specific business of state building.